It takes quite a while to get along. 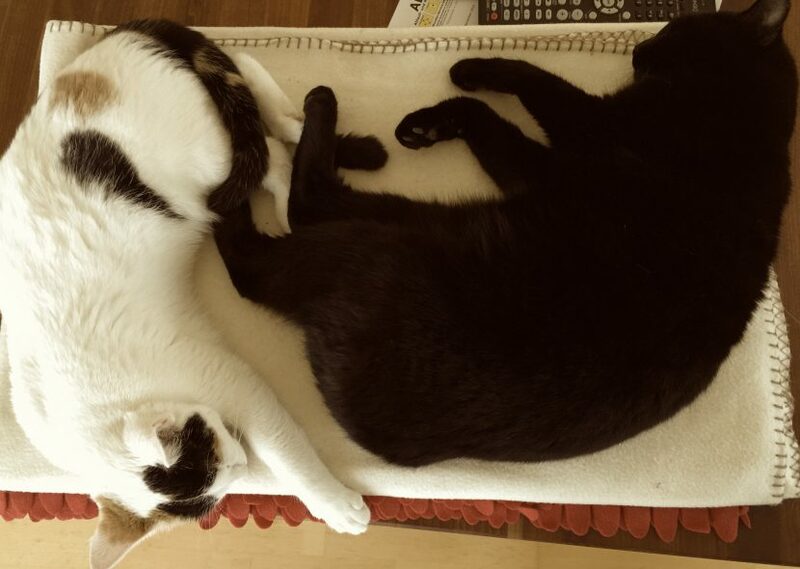 When I think of the two cats, it took four months until I could take this picture just two days ago. They didn’t like each other very much at the beginning. Couldn’t it be the same with humans? It doesn’t have to be something like a firework while coming across a new person – at school, at work, in courses, with new neighbors. Do I have this time? Can I wait until I get the permission to enter the new person’s territory – slowly, but steadily? The two cats showed me: it works.